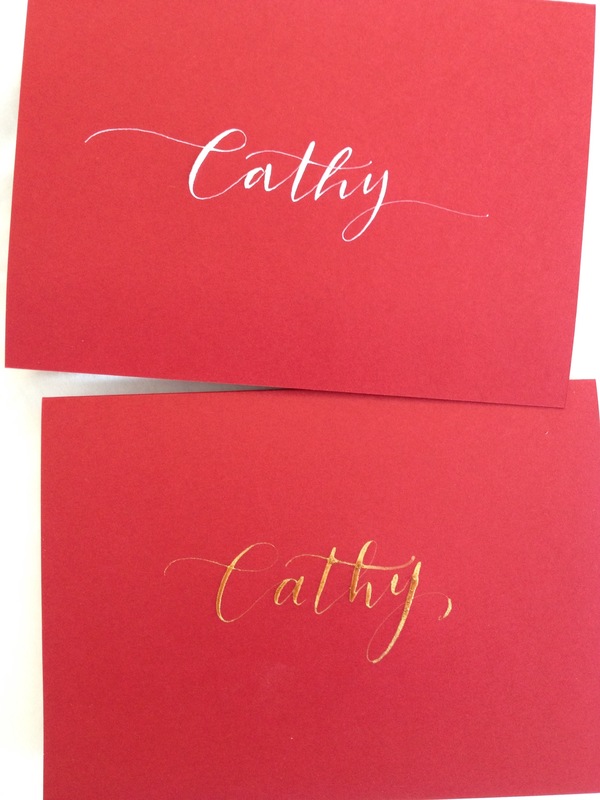 The main reason Cathy contacted me (aside from the work I did here or here) is to make her personalized stationary. 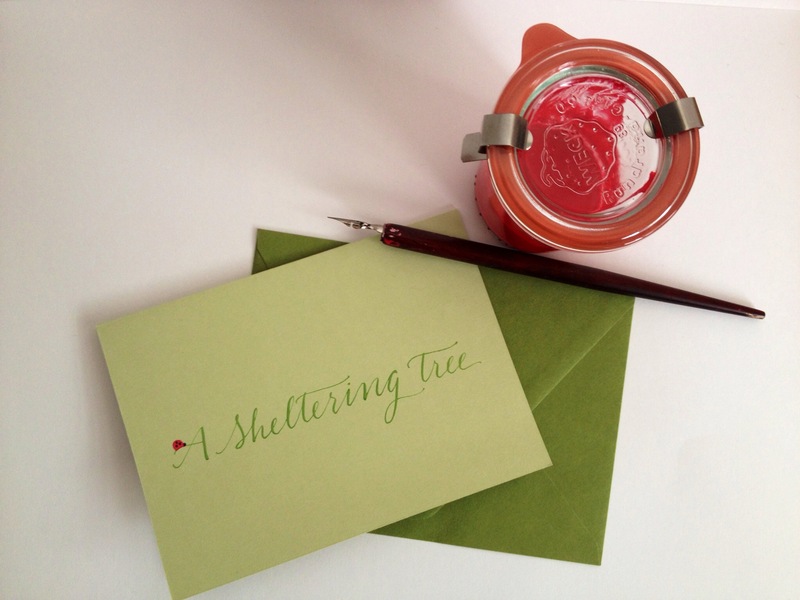 She wanted cards she could use for personal stationary as well as custom cards for her business “A Sheltering Tree” (a center from counseling and creativity)! 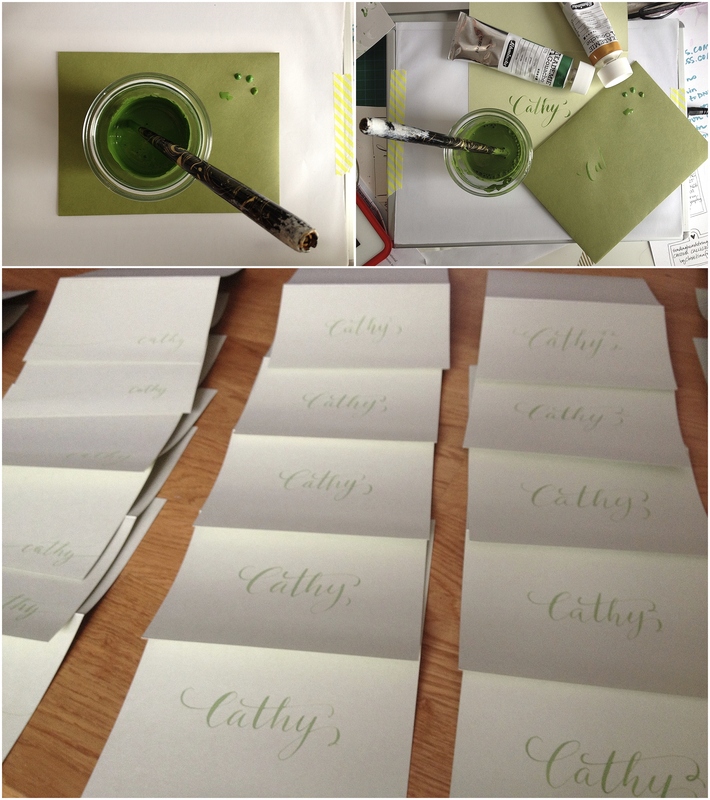 We picked colors and got to work…greens with darker envelopes…and little lady bug details. 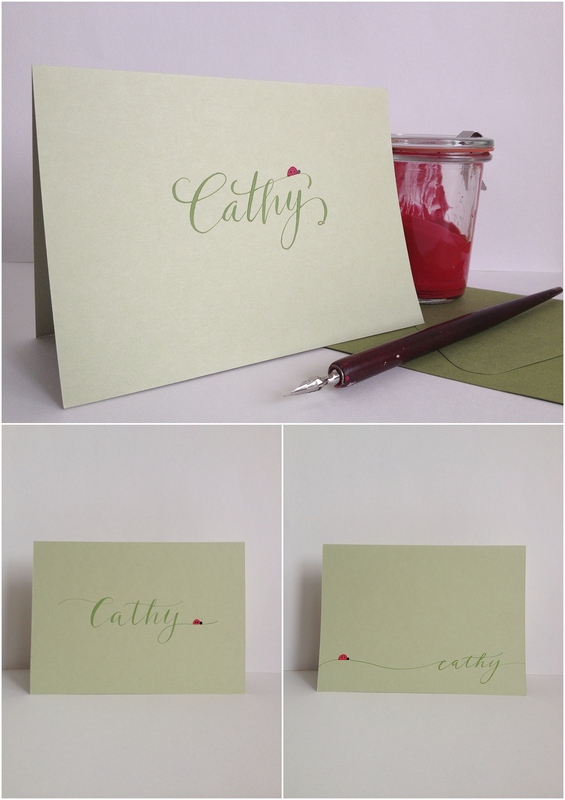 At the end of the day i sent off 80 cards to Cathy with little lady bugs. I ended up needing to buy something she could store them in. 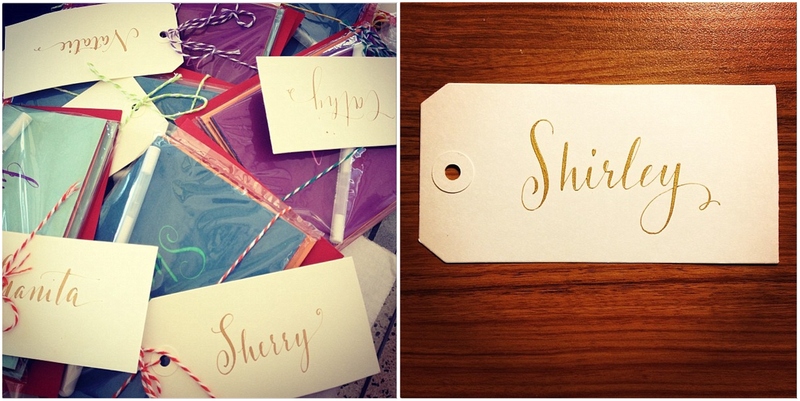 When you send notes do you prefer custom personalized stationary or do you like cute designs and sayings? Either way hope you are sending real mail! My Mom was one of my first clients. 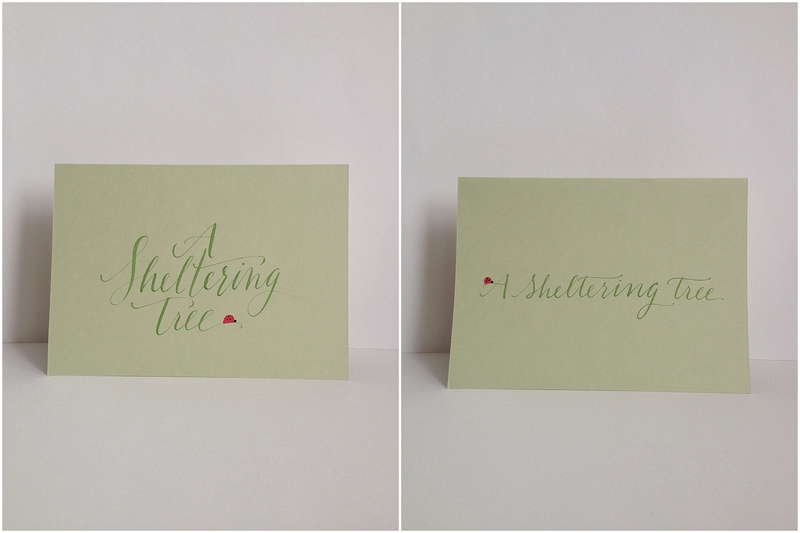 She paid for several sets of custom note cards to give to her friends for Christmas gifts. I worked on them while she was here in Germany and didn’t think to photograph them…unfortunately! 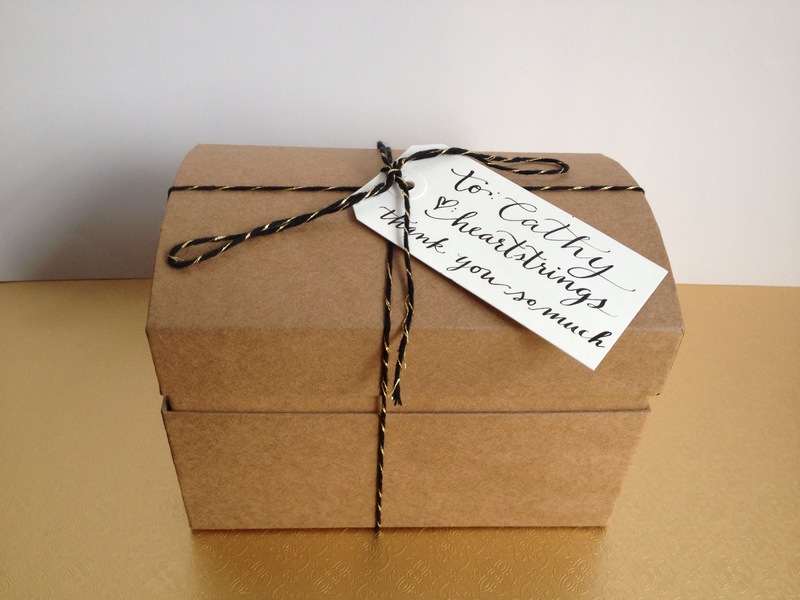 One of the sets went to her very dear friend (and by extension a very dear friend of the whole family’s) Cathy. Cathy has the most amazing southern accent of anyone I know. She is always so happy and sweet and full of love. When I read her Facebook updates I read them in her voice: cheerful and with a long southern drawl! Shortly after receiving her set of notecards she emailed me and asked for more. Only this time, she said, put your contact information on the back! (Did I mention she is also brilliant?). She also requested a special project for a retreat she was running. 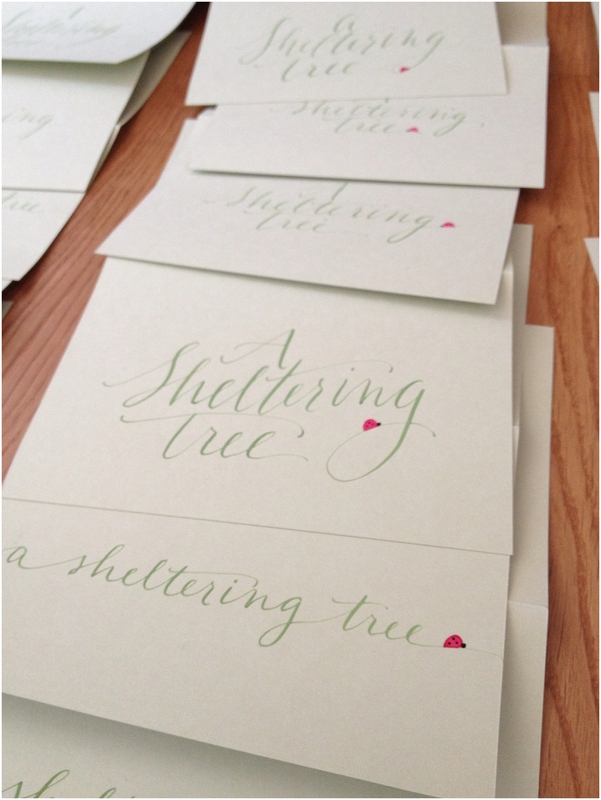 As part of the workshop she wanted to give each person a set of 5 note cards to send to loved ones each day. It sounded like a really sweet project so once colors were picked I went to work. I also included a jelly roll pen with each set because I realized after I picked dark blue paper that people might not have pens on them that would show up on it. I ended working on this part of the project in a hotel room because I was on the road at that point! 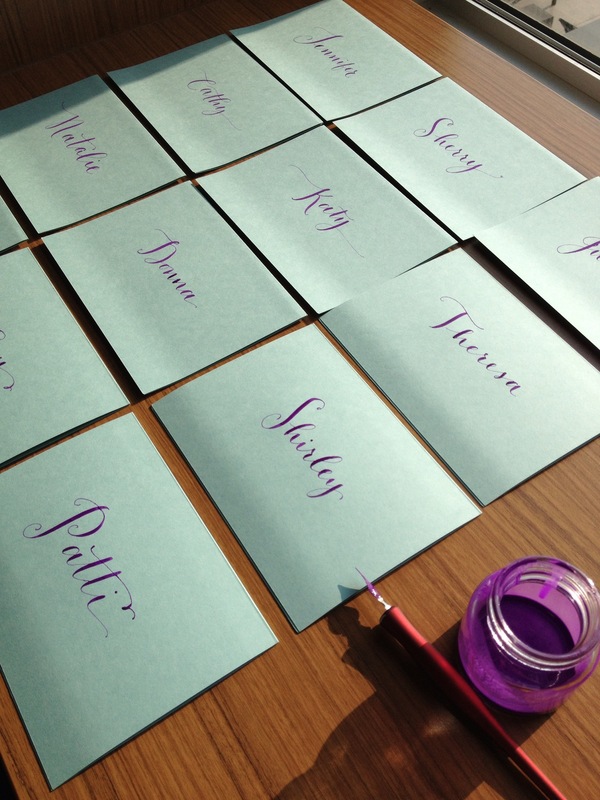 Testing paint colors on the bright cards! 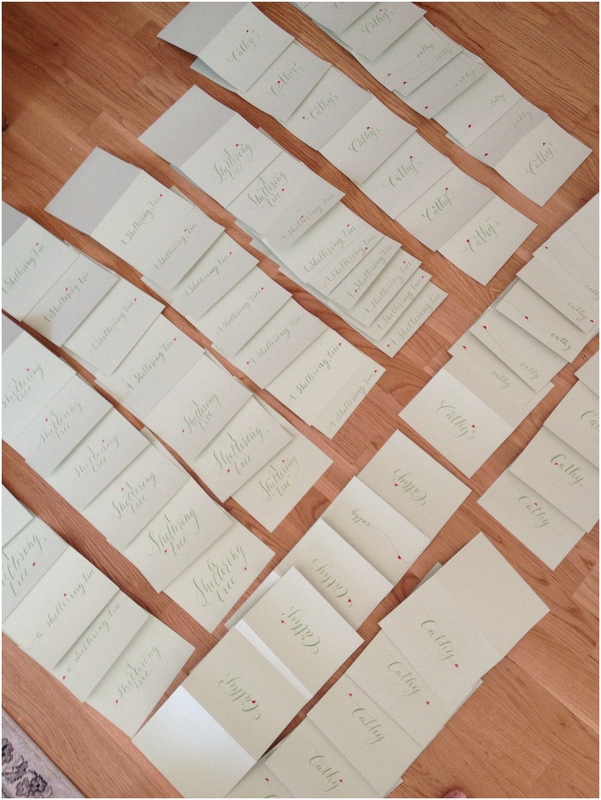 Here is round one of the cards laid out to dry. Each card was a different color with a different color of ink. 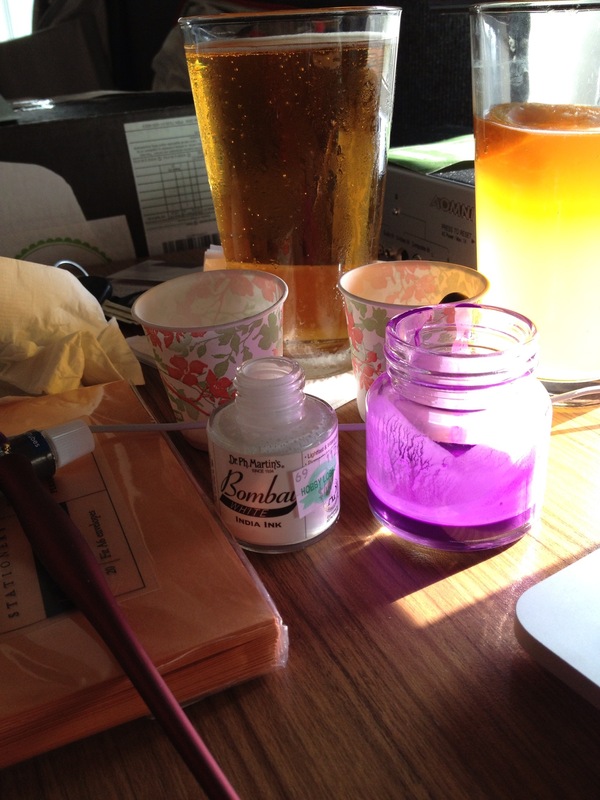 Mixing custom paint colors in a hotel room is not ideal…the beer helps. It was a fun project to work on with lots of bright colors. 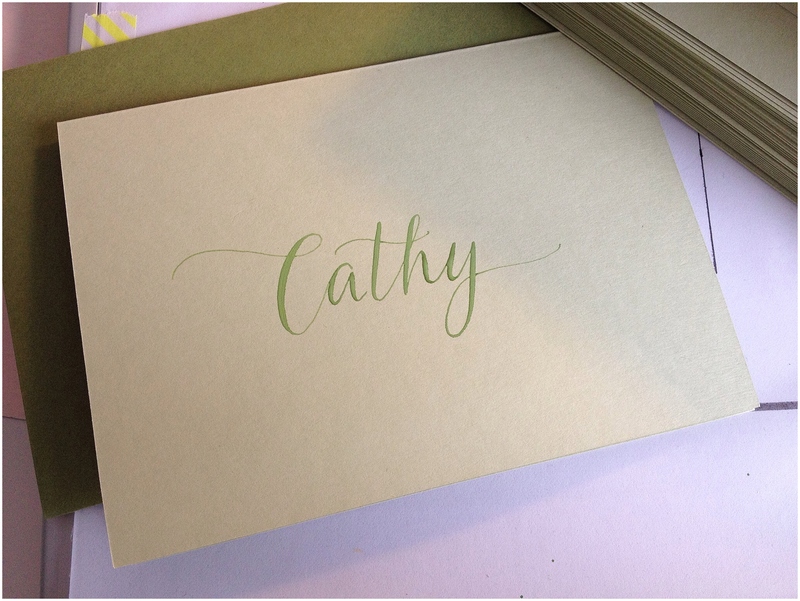 I sent the following off to Cathy and was so happy to work on it! More on this project to come! In the meantime if you want to learn more about the work Cathy does check out her website at http://www.ashelteringtree.com.